Yesterday I was lucky enough to catch a webcast of Kate DiCamillo and Jon Scieszka talking about their new books and writing in general. Kate’s new book is Flora and Ulysses: The Illuminated Adventures , illustrated by K.G. Campbell (published by Candlewick, September 24, 2013). Jon’s new book is Battle Bunny , written with Mac Barnett and illustrated by Matthew Myers (published by Simon & Schuster Books for Young Readers and released today). After the two read excerpts from Kate’s book, a viewer asked how she got the idea for it. Kate revealed that two of the main elements in the book came from real objects and experiences, each with deeper emotional contexts. The idea for the squirrel in the book came from having a sick squirrel come onto her front porch. 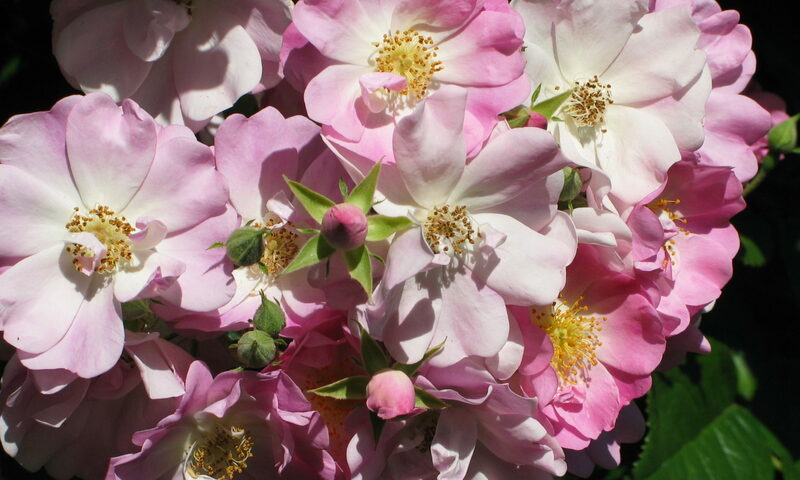 She said she called a neighbor for advice about what to do and the neighbor suggested a method for dispatching it, which I will not repeat here. Fortunately the squirrel removed itself from the porch of its own accord. Kate was obviously moved by the event enough to use it as material for her book. The second item was a vacuum cleaner that was sitting in Kate’s garage. The vacuum cleaner had been her mother’s before her mother had recently passed away. It served as a physical reminder of her mother. Again, it was an object that elicited strong emotions. In the book, the two items come together as a squirrel gets sucked up by a vacuum cleaner, leading to some unexpected consequences. Jon revealed his idea to convert a sweet story about “Birthday Bunny” into an adventure about Battle Bunny came from doing similar things as a child. Here the physical object was a book that inspires a whole new story, allowing the reader to become an active participant. Together the insights of these two authors reminded me how important concrete objects can be to generate story ideas. If these well-known authors use them, shouldn’t we consider providing students who are starting out with similar opportunities? Has a physical object ever inspired a story for you? How do you get your story ideas? Have a blog post about writing for children? Feel free to leave it in the comments. 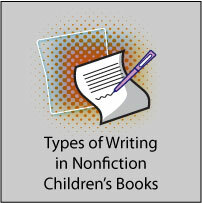 Today we’re going to investigate the different types of writing used in children’s nonfiction books. Do you remember the different types of essays you wrote in college? Remember sweating over expository, descriptive, narrative and persuasive (also called argumentative) essays? If you do, then it turns out you already know the main types of nonfiction. Expository writing informs the reader or offers an explanation. Examples of children’s books that use the expository style include many biographies and concept books. I’m using an expository style in this post. If you are a fan of nonfiction, then expository style is your comfort zone. Expository and informational are sometimes used interchangeably, but be careful because the term informational – correctly or incorrectly – may also used broadly to cover any nonfiction work. Descriptive writing employs words to evoke all the senses and creature a vivid, multidimensional image of a person, place, thing or event. Descriptive writing is the spices in the cake, so to speak, because you can see them, smell them, taste them and maybe even feel them. Narrative writing is very popular in children’s nonfiction right now. It simply means telling a story, using the standard techniques of storytelling. Stories have characters, setting and a plot. Usually there’s an introduction, some sort of rising conflict and a conclusion. When done well, this is a powerful technique. When forced or artificial, it can make readers wish they were reading fiction. Persuasive or argumentative writing is about taking a side and trying to persuade your reader to come on board. Examples of persuasive writing might be a book convincing children to do something about an endangered species or encouraging them to eat healthy meals. The types of nonfiction are coming into the spotlight now because of the new focus on nonfiction in the Common Core standards. Some educators, however, may hesitate to adopt this terminology. Children’s literature experts confuse, rather than clarify, the issue by using such terms as informational books, information books,and expository texts. From: What Do Classroom Teachers Need to Know About Nonfiction for Children? What do you think? Do you think these categories are too confusing? Are some of them used as synonyms for all types of nonfiction? Have you attended a Booklist Webinar yet? Talk about a gold mine for writers! For example, I watched Back to School With Common Core. At first it looked like it might be sales reps from various book companies hawking their wares for fall. But wait, it is representatives of publishing companies explaining their newest books in great detail: how their series are put together, what they are currently publishing, and enough about common core so you can get ideas of what you should include in your next nonfiction manuscript. Whether you are just starting out and need to learn the various publishers or if you are a pro looking for your next book idea, these webinars are a wonderful resource for writers. How else are children’s books grouped? Children’s books are often categorized by the age levels of the children who read them. From a writer’s perspective, age categories are often fairly well defined, but still can vary from publisher to publisher, so make sure you are on the same page. Typically, if your main character is a child, he or she should at the top of the age range for that category, because children are thought to prefer reading about main characters slightly older than themselves. From a reader’s perspective, these categories are average ages. You will run across exceptions, such as children who are reading proficiently at three years old and others who are struggling to read at nine. Also, be sensitive to the fact that children’s tastes and reading levels can change quickly. Sturdy books made entirely of paperboard and specially bound, these are made for children who are still investigating their world with all their senses. Children this age are particularly apt to put things in their mouths and board books can stand up to this treatment. The content of board books may overlap with categories for older children, particularly concept books and picture books. Concept books tackle important educational concepts, typically alphabet/letters, colors, shapes, numbers, and comparisons. Keeping the child who is just starting to read in mind, these books typically have short sentences, highly-controlled vocabulary and limited word counts (500-1500 words). One of the broadest categories regarding age, the picture book category is more about format than content. Typically the illustrations help move the story forward as much as the text. Picture books are often meant to be read to the child, so might contain more complex vocabulary and sentences than a beginning reader. 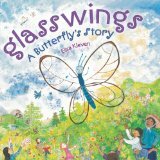 Elisa Kleven‘s newest picture book, Glasswings: A Butterfly’s Story (see also our nonfiction picture book category). Short chapter books typically still have numerous illustrations, but the illustrations enhance the story rather than move it forward. As the name suggests, the books are organized into chapters. Middle grade novels are easy to spot because they are longer than short chapter books and have few, if any, illustrations. Middle grade nonfiction can be trickier to identify because it is likely to be illustrated extensively. Extremely popular right now, young adult books feature more complex plots and usually have protagonists who are teenagers. Some organizations start the category at 12 years old and some young adult titles have been showing up on middle grade reading lists, so the lines may blur somewhat. Given the popularity of young adult fiction right now, some have even started adding another category for new adults.